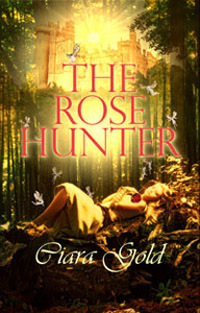 Today’s featured book is The Rose Hunter, a Victorian Fantasy Romance by Ciara Gold. Lucian Willshire is plagued by thoughts of a fae world and the disappearance of his aunt some nineteen years past, but when his friend drags him back to Hamingjur Castle, he stumbles into Alfheim Haven once more where mystical beings become more than a distant memory. Lyerra Ahdia is baffled by the sudden emotional changes she’s experiencing until she discovers she’s the only witch to suffer “the change” since her mother stole the Rose, a special talisman with the power to perpetuate life among those in her coven. Tasked with finding and bringing the Rose home, she begs Lucian’s help in navigating the human realm. Against his better judgement, he agrees. Though neither set out to find anything except the Rose, fate has other plans. Will love be more elusive than hunting the Rose?